Many studies of exoplanets are concerned with habitability. Astronomers seek to understand whether a newly discovered planet is an amenable environment for life and hence a good place to search for it. A central concept in such studies is the notion of the liquid water belt, today known as the “habitable zone” courtesy Carl Sagan. The premise is that for the emergence of life as we know it, a planet must host liquid water. This means the planet cannot be so close to the star that all the water boils away, nor can it be so far from the star that the water all freezes out as ice. Finding the edges of the habitable zone is quite challenging, and ultimately a specific planet can only be ruled habitable through detailed individualized modeling. However, the notion of the habitable zone can give us a rough guide to “hang our hats on”. Many papers looking at the influence of various physical processes on the edges of the habitable zone have been published. This is one such paper. Specifically, this paper looks at the influence of a process called the ice-albedo feedback loop on the outer boundary of the habitable zone. “Albedo” refers to how much light a planet reflects: the higher the albedo, the more light is reflected, and hence the less energy the planet absorbs. In this paper, the authors sought to explore the influence of the ice-albedo effect on different kinds of planet via theoretical modeling. They varied the density and composition of the atmosphere enveloping the planet, as well as the star the planet orbited. They looked at a G-type star (such as the Sun) and compared it to an M-dwarf. The comparison with M-dwarfs is particularly important because recent work suggests terrestrial planets are common around them. The key difference between M-dwarfs and Sun-like stars is that M-dwarfs are much cooler, meaning that most of their radiation is emitted in the infrared (Figure 1). This is important in the context of this work because the albedos of ice and snow decrease strongly with increasing wavelength (Figure 2). On the other hand, the albedo of liquid water does not change as much with wavelength, meaning that in the infrared the albedos of ice and snow become similar to that of water. This makes the ice-albedo loop much less powerful in these cooler M-dwarf stars. Since the danger of a runaway snowball occurring is reduced, this means that a planet can be habitable with less received radiation when orbiting an M-dwarf compared to a Sun-like star. 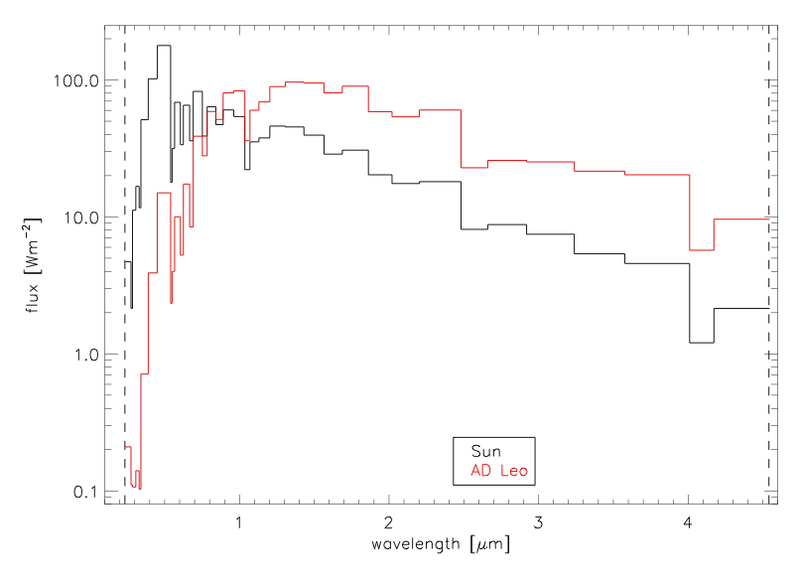 Figure 1: Spectra of the Sun (black) and AD Leo (M-dwarf, red). M-dwarves put out most of their energy in the infrared. 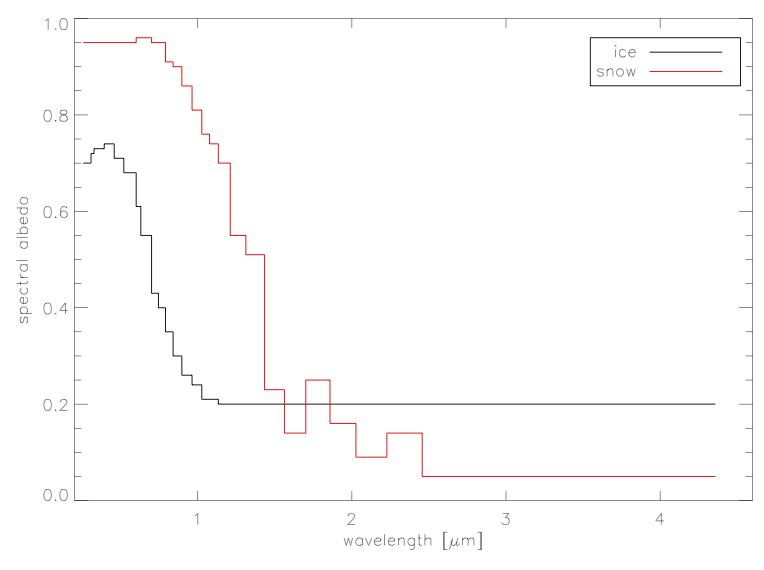 Figure 2: Wavelength dependence of albedo for ice (black) and snow (red). The albedo of these substances declines with wavelength, meaning that the albedo contrast with water – and hence the ice-albedo effect – is muted at longer wavelengths. The flatness of the curves is due to a lack of data longward of those wavelengths. They confirmed that planets orbiting M-dwarfs have lower albedos and more muted ice-albedo feedback, even after including atmospheric effects. However, for planets with a dense carbon dioxide atmosphere, the presence or absence of ice didn’t alter the albedo very much. In this case, the albedo of the planet is dominated by the atmosphere (à la Venus), and not by the surface. Planetary albedo is sensitive to the presence of water, carbon dioxide, and ozone. All of these gases are strong scatterers; when present in the atmosphere they strongly influence its albedo. 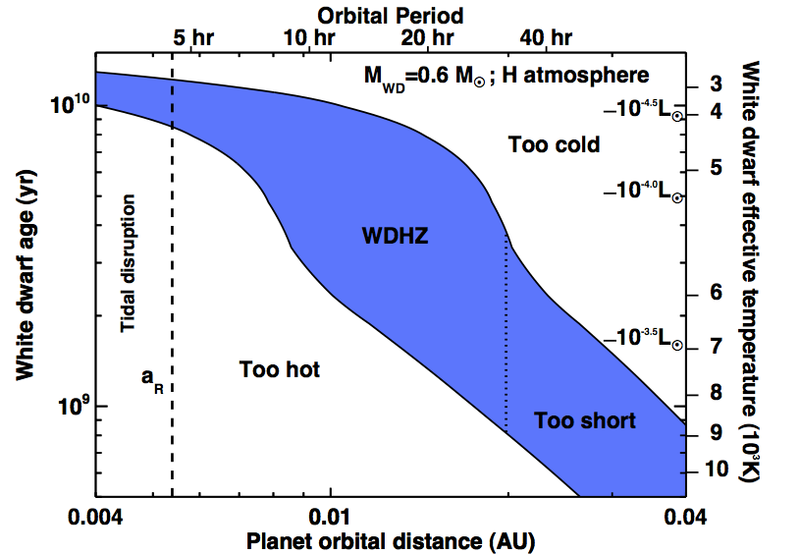 Detecting Transiting Planets Around White Dwarfs On the Habitability of the Kepler 16 System How Hot is Too Hot? Habitability Whether Rocks Weather or Not?